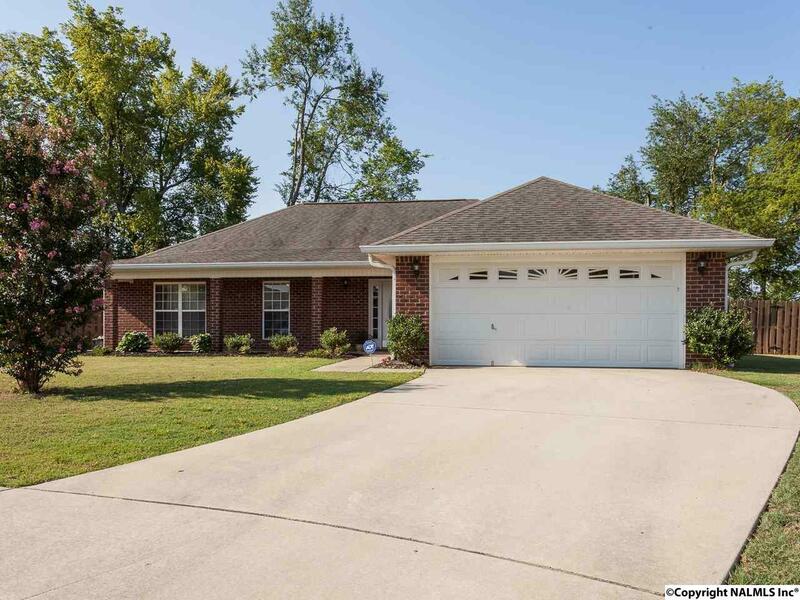 Full brick 4 bedroom/ 2 bath home in neighborhood with great amenities. Amenities includes; pool, clubhouse, playground, walking trails, fishing lake, underground utilities, and public sewer. Just 4 minutes from Madison Hospital, WalMart, restaurants and other entertaining. Enjoy the low traffic cul-de-sac. Cozy fireplace in the family room and open kitchen great for cooking while entertaining. Master is isolated with double vanity, garden tub, and walk in closets. Fourth bedroom could be used as an office. Great shade in the back yard.